With Photo Lottery Director you can create and manage your own lottery with photos. It is a perfect tool for evening and party. A lottery contains up to 99 scenes with certain sequence, every scene has its own title, subtitle, picture, music, photo group and so on. One or more winners can be drawn in each scene, you can change the size or position for each winner photo in each scene. Each scene has it's own title, subtitle and bottom text with different font and color. Winers can be drawn from different photo group in each scene. You can change layout of rolling photo and winner's photo including size and position. Rolling Photo make the lottery attractive. Optional animation before winners were displayed. You can draw all or part of winners every time. If the lottery was terminated for some reason, you can continue it later. You can display winners already drawn in current scene. Winner photo will be excluded in next scene. Preview is supported, it will help you check if all data is set correctly. Supports adding photos from a folder. Export winner photos to a folder. Winner photos are saved to database, you can query them at any time. 100M disk space or above. 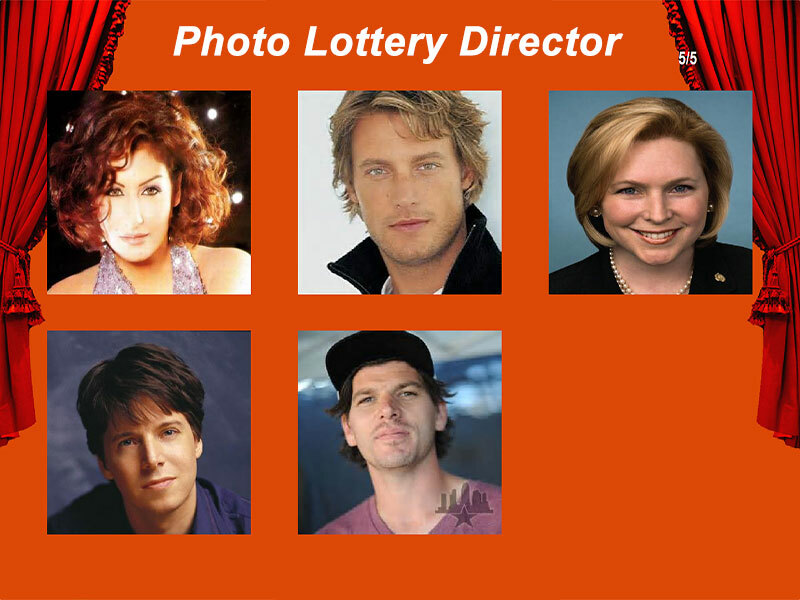 The trial version allows you to evaluate all features of Photo Lottery Director. There will be a nag screen and trial marker in trial version.